Costume includes Shirt, Vest, and Chaps. Available in women's plus size (16 to 22). Care instructions include to Hand Wash With Cold Water And Mild Detergent. Line Dry. Do Not Bleach. Do Not Iron. 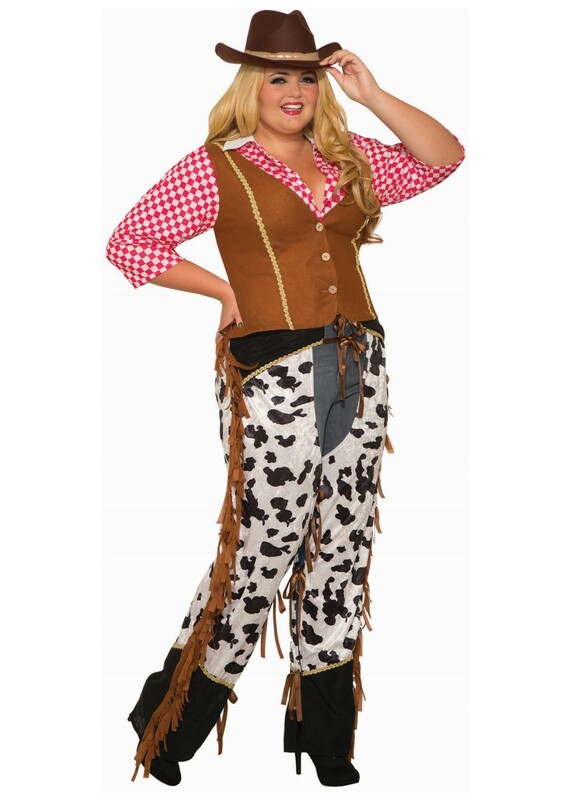 Kick off the Halloween season with your best Western Cowgirl look. 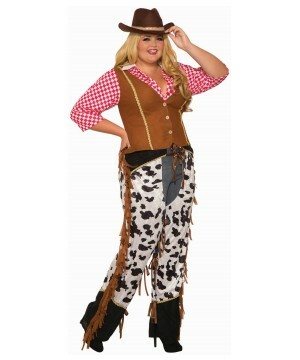 This costume includes a plaid shirt, a vest, and some cow print chaps. Add your own Wild West cowgirl hat to complete the look! Review(s) for " Cowgirl At The Ranch Women's Plus Costume"